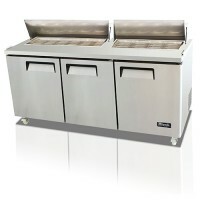 Our Food Preparation Tables provide spacious, easy-to-clean surfaces with built-in storage compartments for keeping all the ingredients you need right in front of you. 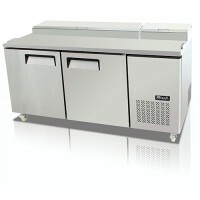 We also offer mobile bins for preserving and cleaning vegetables and ingredients. 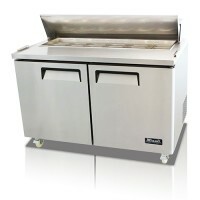 Pick up a Food Preparation Table today and turn your home or restaurant kitchen into a fast and efficient assembly line for sandwiches, pizzas, and other dishes that take multiple steps to make.